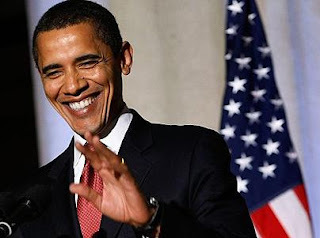 The DC blog Cloture Club (sweet Lord, is there a more DC name for a blog?) recently posted a piece called "10 DC Guys We've All Dated." Though I only lived in the District for three years & haven't lived there for nearly three years (oh my God), this piece gave me a laugh. I never felt like I dated much while I was living in the capital, but... 10 DC guys we've all dated, for real, including me. I blogged last spring about "my now-defunct little black book," giving you an overview of what my DC dating life looked like pre-Nathan. All five guys profiled in that post will make an appearance in this one, so go check out that prequel if you want more backstory. The Chill Republican Dude: At a birthday party at Vegas Lounge, I met Alex, a vaguely yacht-clubby Harvard grad who asked me to dinner. Over Thai food, he revealed he worked for the McCain campaign but was "mostly just a fiscal conservative" - who seemed appalled that I worked on LGBT issues & gun control. He also qualifies as #10, Really Important Guy, or so I know he thought, because name-dropping abounded. A close liberal friend later told me he knew Alex from college but didn't warn me away because he wanted to let me make my own decisions. Thanks? Gone-Every-Weekend Guy: Curiously, I didn't know any Gone-Every-Weekend Guys. Is it because everyone I know was really committed to livin' the wild & crazy D.C. life? Probably that. Closeted Type-A Guy: The Non-Boyfriend was absolutely Closeted Type-A Guy. He was so laid-back! One time we made out on a dance floor! How Type-B of us! But also, he was more than a little OCD about everything (maybe in a clinical way) & often made me feel crappy about not being OCD about everything (or, well, anything). Basically, the Non-Boyfriend was far too intense to be a non-boyfriend but also far too intense to ever be my real boyfriend. And he worked on the Hill, so he definitely thought he was #10, Really Important Guy, too. Enigma Guy: Oh, I have two of these, does that count for double? The Bike-Riding Hipster & the Stoner-Turned-Soldier were both Enigma Guy! The former owned a house & had a great job but also had a tattoo of his home state & possessed a touch of wanderlust (in the middle of our possible interest in one another, he went to, like, Turkey or Hungary for a month). I'm pretty sure the latter, Stoner-Turned-Soldier, had a girlfriend the entire time we were hanging out, which would explain why he was a bit of an enigma. He was also the only one who was legitimately #10, Really Important Guy, because it's possible that he works for the FBI now? I sure dodged that weird life bullet! Outside-the-Beltway Guy: I wouldn't say I "dated" this guy, per se, but we were, uh, friends. He lived in Alexandria, came into the District on weekends, & repeatedly insisted that Old Town Alexandria was "cool" & worth visiting. To this day, I've never set foot in Alexandria, though I'm happy to report that this guy, now happily married, lives in Columbia Heights. Upgrade! From-Here Guy: The Wise Man was a From-Here Guy, though he was legitimately from there, not from some nearbyish part of Virginia. He, too, is now happily married & still lives in the District & still likes to rage about people who aren't from there & is still my friend, so I can't accuse him of (m)any of the shenanigans Cloture Club says should apply, but still. He's from there. 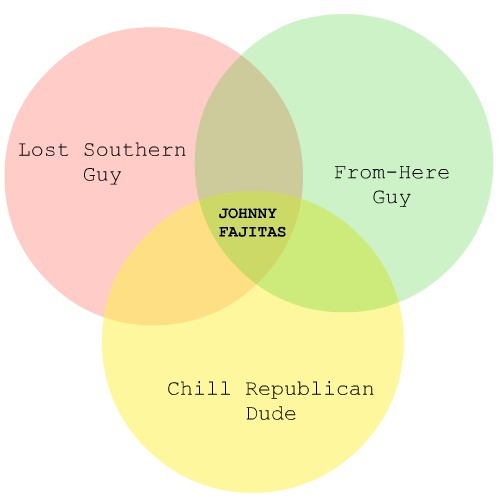 Lost Southern Guy: Johnny Fajitas, the boat-shoes-wearing Alabama grad with the perfect hair, has dual citizenship as Lost Southern Guy but also as From-Here Guy because, though he loved his adopted home in the Deep Douth, he was originally from Maryland. He was also a Chill Republican Dude, as he, too, was horrified by my chosen field (& by the fact that I'd once shaved my head - which told me plenty about him). His identity as Lost Southern Guy prevails, though, I believe he has since re-relocated back to the Heart of Dixie. Clarendon Guy: I don't understand how Clarendon Guy & Outside-the-Beltway Guy are any different. This is the exact same person, at least in my book. Organic Kale Guy: Come to think of it, Organic Kale Guy has definitely never been my type. Whew. Really Important Guy: I've mentioned at least three of these already, but let me simplify this one for you: Every single guy in the District of Columbia believes he is Really Important Guy. Nearly all of them, except for one, are wrong.